How does Dropbox, Box, OneDrive and others compare in their level of security and what type of encryption are they using? What is end-to-end encryption and why is it more secure compared to tradtional encryption methods? Cloud-based applications make your life more convenient. However, they could create risks for your data. Your company as a data controller is responsible for protecting all personal data you manage throughout its processing lifecycle. 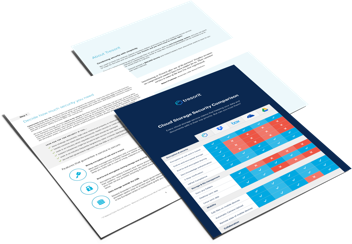 With encryption, syncing & sharing your data conveniently in the cloud while being compliant with GDPR and other data protection regulations is easy.